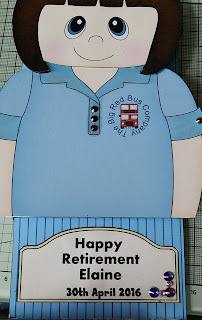 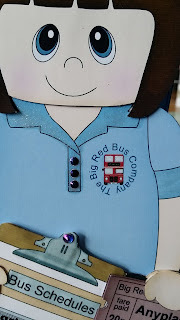 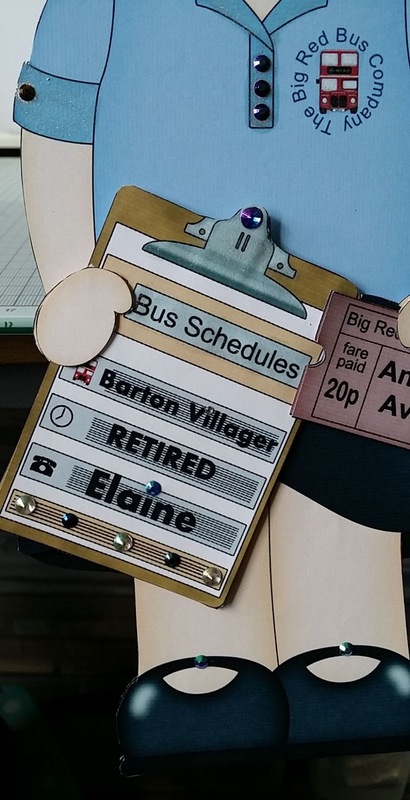 The card I have decided to share with you is one I made last year when my good friend retired as bus driver on our village bus. 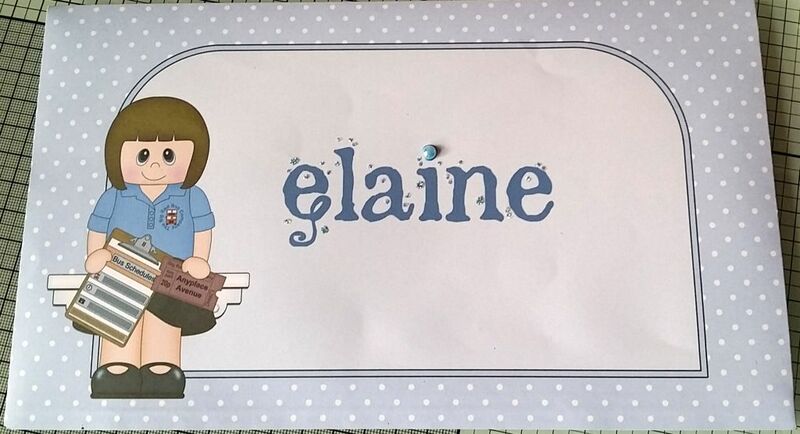 The kit was by Carole Clark and is one of the on the shelf cards which are great fun and now there is one that’s suitable for nearly every occasion. Before printing I had added text stating the bus name, her name and the retirement, on the inner panel I added the dates too. 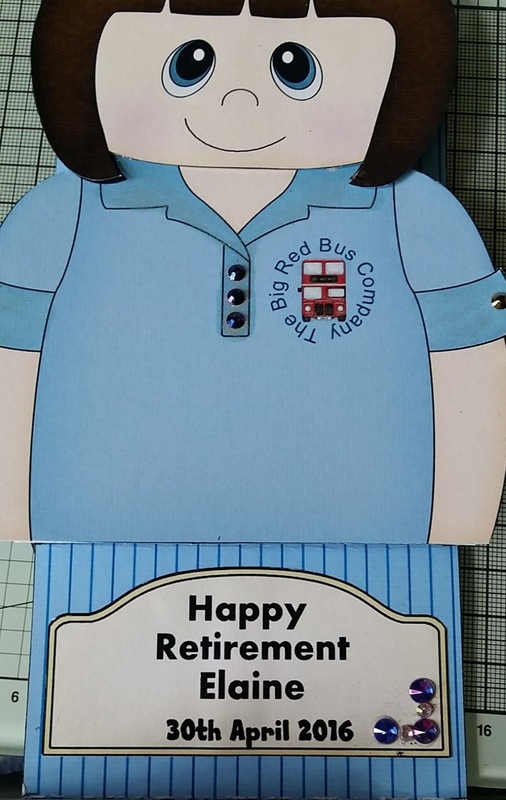 Elaine the retired bus driver loved the card so what more could I ask for?